Blogger Prom 2010 Announced: Hollywood Confidential! Blogger Prom committee members had their portraits done to get into character! Blogger Prom is the annual invite-only party for Los Angeles bloggers, a fun and exclusive way to meet fellow local bloggers. After an uberly successful Blogger Prom 2009, the Blogger Prom Committee (including myself!) is back to do it again! 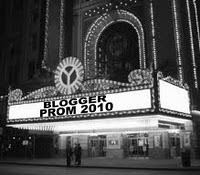 We are officially announcing today that Blogger Prom 2010 is a go! 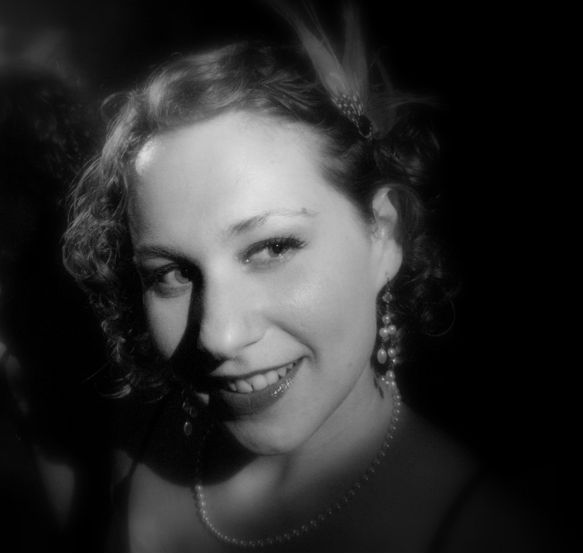 Think 1930s, 1940s Hollywood glamour! Marlene Dietrich, Betty Davis, Joan Crawford, Greta Garbo, Maureen O'Sullivan, Barbara Stanwyck, Carole Lombard, Jean Harlow, Ava Gardner, Rita Hayworth, Lana Turner, Veronica Lake, Betty Grable, and the list goes on! And that's only the women! We're going to enforce a strict dress code that embodies this classic era. And we can't wait to see what Los Angeles bloggers do with the theme...just how far they can take it! We'll be regularly updating you with details of the event right up until September 22nd. I'm so excited! I need to find myself a gown. And marry Clark Gable! If nobody shows up as bonnie and clyde, then blogger prom 2010 is a failure.. im just sayin.